Redstar Equipment presents the DAW-300SS diesel welders with an engine equipped with the Closing Breathing System to keep the blow-by gas in the machine, and Slowdown Unit device to reduce noise levels and automatically lower engine speeds during no-loading times. The DAW-300SS features an automatic air venting unit that eliminates air through a switch key when restarting the engine after refuelling, an aluminium radiator that does not cause lead pollution and an alternator that requires no maintenance from its use of brushes and slip rings. The DAW-300SS diesel welders provide easy maintenance with procedures only needed to be carried out on one side of the machine. In addition, the radiators can be cleaned easily by removing the front cover. 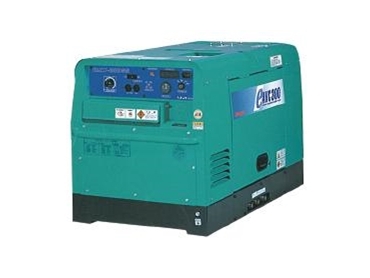 The diesel welders also offers various protective systems that assures safety for the operator, which includes automatically cutting the power off when the DC outputs are overloaded, shutting down the circuit breaker when overloading the AC output and automatically stopping the engine with indicators warning at low lubricants, oil pressures, high water temperatures and insufficient charging of battery. The DAW-300SS diesel welders are available from Redstar Equipment with optional four-wheel kit, exhaust pipe attachment, remote controller and measure against salt damage.